(SWEETWATER) – Texas State Technical College has announced the recipients of this year’s Chancellor’s Excellence Award, and seven West Texas employees were honored. Of the seven, two employees from Sweetwater received the award. 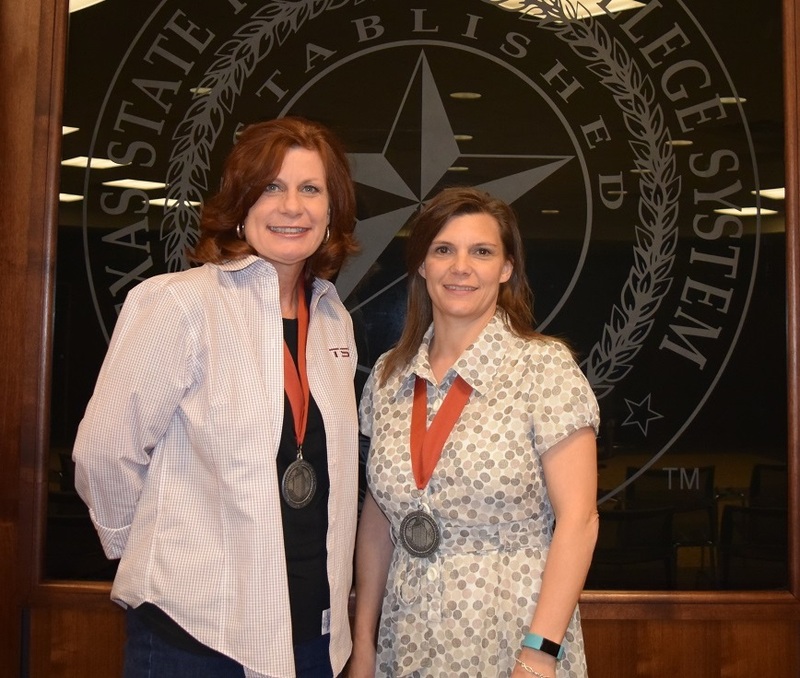 This year’s Sweetwater award winners are Marina Wilcox, interim provost and vice president of Dual Enrollment, and Julie Browning, executive administrative assistant. Browning has worked at TSTC for four years and said she was honored to receive the award. “I guess I do my job well!” she laughed. It is interaction with people that motivates her to come into work every day. “I’m passionate about TSTC because of the people I work with and the students I work for,” Browning said. Wilcox, who has worked at TSTC for a collective four years, felt the same sentiments. “I was absolutely honored and humbled that my peers felt that I was worthy of this award and that I helped serve and lead them in a capacity that they felt was of benefit to them and the college,” she said. Wilcox returned to TSTC in 2015, having previously worked at the college from 2007 to 2008. She was happy to guide her team through the shift. The Chancellor’s Excellence Award began in 2001, and over the past 15 years more than 280 TSTC employees have received the honor. Recipients are chosen based on outstanding contributions and achievements, commitment to excellence and character. Honorees serve as agents of change in the advancement of TSTC initiatives. TSTC touts itself as being “a great place to work” and is currently hiring for over 90 positions at its 10 campuses statewide. For information on open positions at TSTC, visit tstc.edu/about/employment. This entry was posted in Sweetwater on July 25, 2017 by Debra Gonzalez.